Over the last few months, everything has been going really well with The Tipsy Bunny. The Tipsy Bunny is the little online shop that my mom and I have put our heads together on -- it features childrens' bonnets, bibs, and accessories. 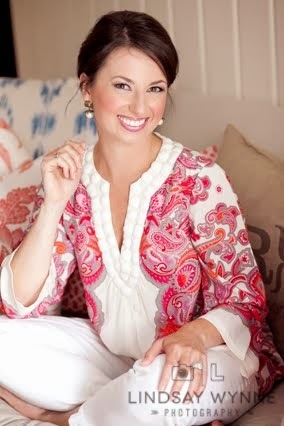 My sister Laura even supplies the children's beaded necklaces for the shop, so it truly is a family affair! We have had some sales on Etsy, but the majority of our sales have happened through local Facebook groups, a trunk show we participated in, and -- most recently -- Instagram. 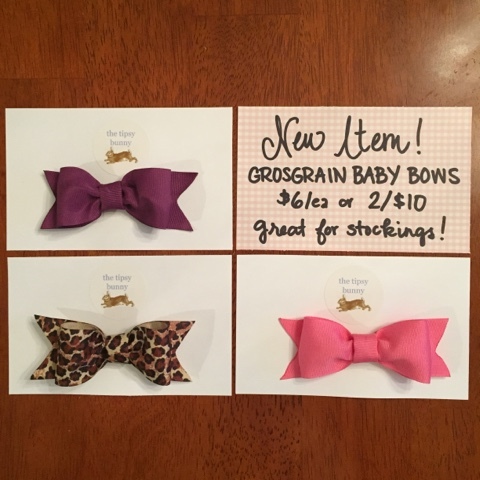 I started creating these baby-sized, 4" grosgrain bows to add to our shop, and the past two evenings I have sold them on my Instagram account (@alizadventures). 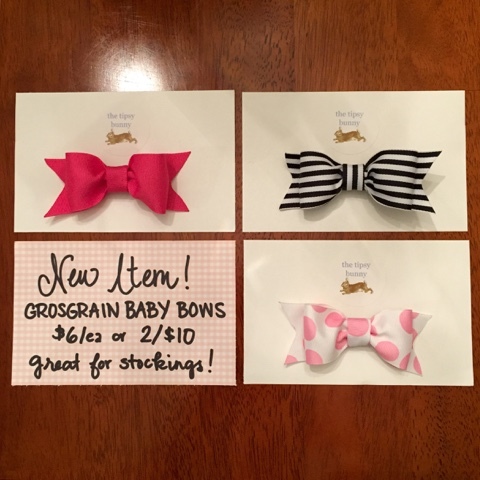 Here is a look at what has been offered so far ... including a sneak peek at tonight's bows! I had some questions about the backs of the bows. This is what they look like. 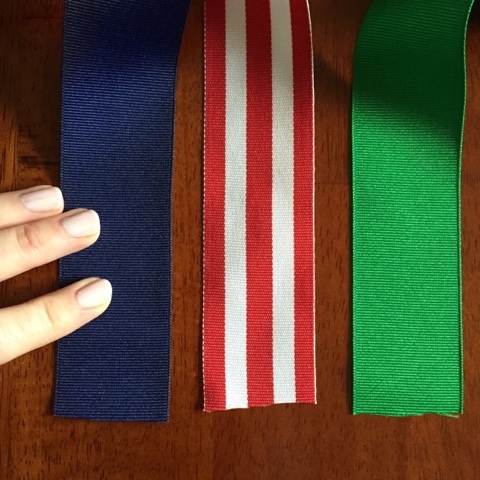 The top part of the clip is covered in ribbon, while the bottom part remains uncovered. 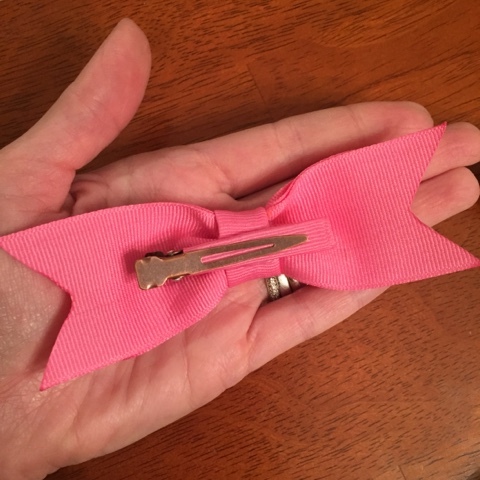 This is my personal favorite type of bow clip -- the kind that stays put in Camille's fine hair. Some clips are silver and some are bronze. The clips do not show when the bow is worn. Alright, so here is a look at the colors that will be offered for sale tonight! Check my Instagram feed around 8:00 Eastern time if you are interested in snagging one or more for a special little girl in your life! Hey girl! Will you be adding these to your shop eventually? I'm sad I missed the IG sale!